Hey there! If you’re reading this, that means our continuity wasn’t destroyed. According to our Archive, the first comic was posted in December of 2007. Here we are, in 2016, and we’re closing the last chapter of Massive Pwnage. When we discussed the end of the strip, it was always something that was kind of sore. This comic is incredibly special to us, not because we’ve been working on it so long, but because it was our first. And if anything, it’s a monument to a friendship that’s lasted more than a decade. Jon poured his heart into this thing and it gave so much back. Through it, we cultivated so many great stories, learned so much, and met plenty of amazing people. We crossed paths with Team Four Star, Michelle Ann Dunphy, Lisle Wilkerson, Warky Nunez, Laura Post, Sonny Strait, and many more. We were nudged along and highlighted by Blizzard, and Riot Games, and a bunch of other rad people. We hosted fundraisers for Child’s Play, got to talk about making comics in front of excellent aspiring creators, and had the best time doing it. And none of that would have happened if Jon hadn’t decided to buckle down and start drawing and writing. There were plenty of times where the comic escaped us, we didn’t know what we wanted it to be, or do, but ultimately, Jon kept plugging into it. It was because of that love for this project that the decision to put an end to it was scary. I guess we wanted to make sure that whatever we wrote would be an ending we’d be proud to have our names under. I won’t say that this won’t be the last time I write about these characters, and I’m sure Jon will draw another Ence piece from time to time, but I think the boys have earned some peace. This isn’t goodbye, we love you guys more than anything, and it was your encouragement that kept us writing. Stay tuned, we’ve got a lot of exciting new things on the horizon. As always, I want to thank my family and friends for being super supportive of the comic, especially my parents, who have driven me to pursue my dreams. My former teachers, Novelist Anna Keesey, Poet Lex Runciman, and Guerrilla Philosopher Seth Tichenor. Thank you for showing me the method in the madness, and the madness in the method. Last I want to thank our readers, without which we’d be two crazy dudes throwing jokes at empty space. This entry was posted on Wednesday, January 13th, 2016 at 12:01 am and is filed under Blog. You can follow any responses to this entry through the RSS 2.0 feed. Both comments and pings are currently closed. I would try and catch all of said jokes from the empty space. But myself, like Tika, have butterfingers so i’d probably miss. I’m excited to have shared in this adventure with you guys, and although I am sad to see it go, I am even more excited to see what comes in the future. Best of luck to you both! It’s been an incredible ride guys! We owe you so many laughters and smiles, I’ve lost count! 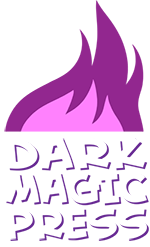 I wish you all the best for the future and look forwards to the new content that Dark Magic Press will bring! Massive Pwnage has always been a weekly stop for me and I’m glad that I’ll be able to continue checking out the ventures of you and Jon! Thank you for sticking with us. Don’t miss out on Magical Universe when it premieres!